ABC shares their particular outlook on the primetime ratings for Halloween — particularly The Neighbors, Modern Family, Suburgatory, Nashville, and It’s the Great Pumpkin, Charlie Brown. Info on ABC’s Wednesday ahead of the regular press release. ABC took second place on Halloween night in Adults 18-34 and across all key Women (W18-34/W18-49/W25-54), while ranking as the #1 broadcast net with Kids 2-11. · For its 5th straight broadcast this season, ABC’s Modern Family finished as Wednesday’s #1 TV show among Adults 18-49. Please Note: TV Usage levels were down week to week on Wednesday night in Homes (-5%) and among Adults 18-49 (-7%), due to Halloween and the ongoing impact of Hurricane Sandy, with millions of homes still without electricity. At 8pm, ABC’s encore telecast of It’s the Great Pumpkin Charlie Brown won its half-hour among Adults 18-49, beating out CBS’ Survivor by 17%. The animated PEANUTS special also delivered the #1 position in the half-hour with Adults 18-34 and Kids 2-11. · It’s the Great Pumpkin Charlie Brown was up over its year ago telecast (on 10/27/11) in both Total Viewers (+7%) and Adults 18-49 (+17%), marking its best numbers in 3 years – since 10/27/09. 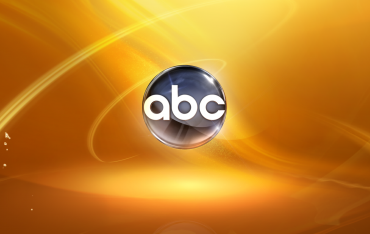 In addition the program delivered ABC’s highest Kids 2-11 rating in the time period in nearly 2 years – since 11/10/10. At 8:30pm, ABC’s The Neighbors continued to dominate its freshman comedy competition, defeating NBC’s Guys with Kids by 1.9 million viewers and by 29% in Adults 18-49. The ABC family comedy beat out Survivor in the half-hour with Adults 18-34 and Women 18-34 and won its slot among Kids 2-11. · Jumping 27% week to week in Kids 2-11, the ABC family comedy posted a new series high for the 3rd straight week. Surging over its lead-in to dominate the 9pm half-hour in Adults 18-49, ABC’s Modern Family outdelivered runner-up CBS’ Criminal Minds by 41%. In addition to standing as Wednesday’s #1 TV show in Adults 18-49, Modern Family was also the night’s top-rated program with Adults 18-34 and Adults 25-54. In the 9:30pm half-hour, ABC’s Suburgatory finished as the #1 scripted show among Adults 18-34, Men 18-34 and Women 18-34. During the 10 o’clock hour, ABC’s Nashville was once again the #1 new drama in viewers and young adults, increasing its advantage over NBC’s Chicago Fire week to week to 20% in Adults 18-49 (up from an 11% advantage the prior week). In addition, freshman Nashville dominated CBS’ veteran CSI for the 4th week in a row in Adults 18-34 and Women 18-34 to rank win in the hour. · Based on Live + 7 Day ratings, Nashville shot up over its Live + Same Day numbers by 50% in Adults 18-49 (+1.4 rating) and by 40% in Total Viewers (+3.53 million), delivering a 4.2 young adult rating and 12.5 million viewers for its debut telecast.